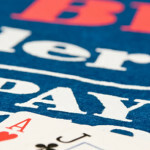 Bovada (www.bovada.lv) is one of the most reliable online casinos. Using a combination of RTG and Betsoft games you will be spoilt for choice when playing blackjack online. RealMoneyBlackjack.com is the most comprehensive and up to date guide to learning and winning at the world’s most popular casino table game. 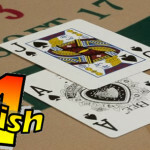 If you haven’t played the exciting game of blackjack, start with our easy to follow guide on how to play blackjack that teaches the game in simple language even a beginner can understand. If you already enjoy blackjack, you may be ready to learn more advanced skills like the rules for basic strategy, which allow the average player the best odds of any game in the casino! Along the way we have guides for understanding the house edge at blackjack, different variations of blackjack like Spanish 21 and Double Exposure Blackjack, and side bets like Lucky Ladies and Royal Match. Whether you plan on playing blackjack online or at your local casino, you’ll learn enough here to improve your play and make you an expert in no time! 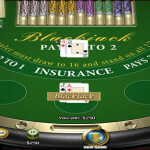 There are several forms of blackjack played at casinos around the world and across the World Wide Web, but the game is usually played with a Standard English deck of 52 cards. No jokers or wild cards are used. Aces can be counted as one or eleven, tens, jacks, queens and kings count as ten, and all other cards are their numerical value. The object of the game is to get as close to 21 as possible without going over (or busting) and ending with a total higher than the dealer. Other rule variations are allowed by different casinos, but the other major differences are how the game is dealt. Some casinos use just a single deck, while others deal the game from a plastic “shoe” that holds 2, 4, 6 or even 8 decks. In addition, the game can be played with a continuous shuffler that is replenished with cards after each hand is completed. The number of decks used and the rule variations can have a big impact on the house advantage. Generally, the casino (or house) has an immediate advantage over the player because the player must act first, and risks busting. A player who follows the general rule of hitting until they make 17 or higher each hand will play at a disadvantage to the house of over 5%. To improve your own chances of long term success, you should learn when to split pairs, when to double down, when to take insurance, and when to surrender. Once those rules are learned and employed, the house will rarely have an advantage of over 1.5 %. That makes your chances for success at blackjack about the same as winning at baccarat or the pass line at craps. However, even more success can be expected at blackjack if you learn basic strategy. Depending on a casino’s rules for splitting and doubling down, learning the rules for basic strategy and using each correctly will whittle the house edge to under 1 %. Players who are proficient at the game may wish to continue their learning with a simple blackjack card counting system that actually gives them the edge. Some professional players have won big money at casinos over the years. 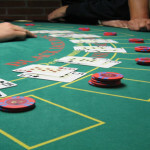 Land based casinos offer a variety of blackjack options and some also offer a player’s club or system whereby they reward players for their time at the gaming tables. Any comps that can be obtained for simply playing the games you love add to the excitement of gaming, and also lower the house edge if you add the value of the comps into your overall entertainment cost. Remember, the more cards used on a blackjack game, the higher the house advantage. When possible, try to play on tables with a single deck. Keep in mind that some casinos now offer rule variations on different games, and a single deck game may restrict doubling down to hands of ten and eleven while a shoe game may allow doubling down on any two cards. In this case, you’ll need to know the exact cost of each rule variation to make the correct choice of the best game to play. Online casinos know the game of blackjack can be beaten, and unfortunately this means the huge bonuses you see for slot play do not apply to blackjack, except occasionally at a 5% rate, meaning you would have to place 95% of your action at games other than blackjack. With that in mind, you’ll certainly want to brush up on your blackjack options and check the rules offered at each site to choose the ones best suited to your skill level. The games offered may include single deck and multiple deck games as well as “live” dealer games. Choose the game with the best overall odds. You may also be able to choose a table with multiple players or go heads-up against the dealer. Playing against the dealer only will go much faster. Games with multiple players may allow you a tiny edge over the heads-up game because you will see several cards on the layout before you make decisions affecting your own hand. The best system for blackjack is to learn how to play and follow that up with the rules for basic strategy. Once you play basic strategy perfectly you will be in an elite group of gamblers who can play almost even with the casino. Betting strategies can also be used at blackjack, and while none except card counting will turn the odds in the players’ favor, they can add excitement to the game and provide hours of fun that often culminates in a profitable venture to the casino. Betting with and against streaks, sometimes using a Martingale-type system is often seen at blackjack tables. 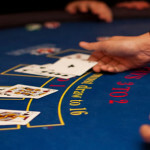 As with any game of chance, the house has the advantage at blackjack most of the time. Make sure you learn the most important rules of bankroll management in our easy to understand guides. Not only will they teach you some great rules for making more at the right time and losing less on bad nights, but they will also help you spend more enjoyable time at the table without fretting over how much you can afford to risk. It doesn’t matter whether you are playing a live game, or online, you’ll be risking real money that you probably had to earn with hard work. Keep in mind that unless you are counting cards, your odds of winning the current hand or the next hand, or the one after that, are all the same: the house has the edge. Treat your time and money with respect! Gambling should always be fun. If it isn’t, stop playing. And, before you even start playing blackjack, check our left-hand navigation menu to learn all about the game of blackjack so you’ll always have the best information on your side. Information is power – use our site to get powered-up!